As we all know, Jane Jacobs was a visionary urban activist and author, whose 1961 publication of The Death and Life of Great American Cities had a tremendous impact on how we think about cities and urban planning today. She challenged prevailing assumptions in urban planning at a time when slum-clearing was the norm and emphasized the intricacies and sensitivities of an urban fabric. 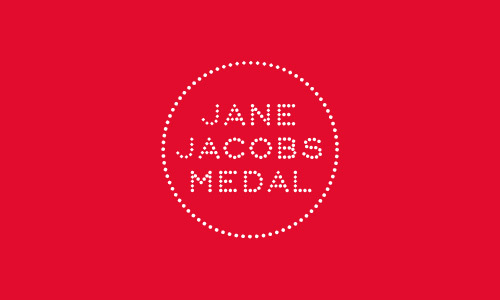 In 2007, the year after Jacobs died, the Rockefeller Foundation launched the Jane Jacobs Medal, an annual award given to those who stand by Jacobs' principles and whose "creative uses of the urban environment" renders New York City "more diverse, dynamic and equitable." Two awards covering New Ideas & Activism and Lifetime Leadership are presented each year. Janette Sadik-Khan, commissioner of the NYC Department of Transportation and Paul Steely White, executive director of Transportation Alternatives took the New Ideas & Activism title for their contributions to public space and transportation while Robert De Niro and Jane Rosenthal were presented with Lifetime Leadership awards for their contributions to the Tribeca neighborhood. Sadik-Khan was lauded for her standout efforts to increase access to public space, improve traffic flow, and promote sustainable transportation. 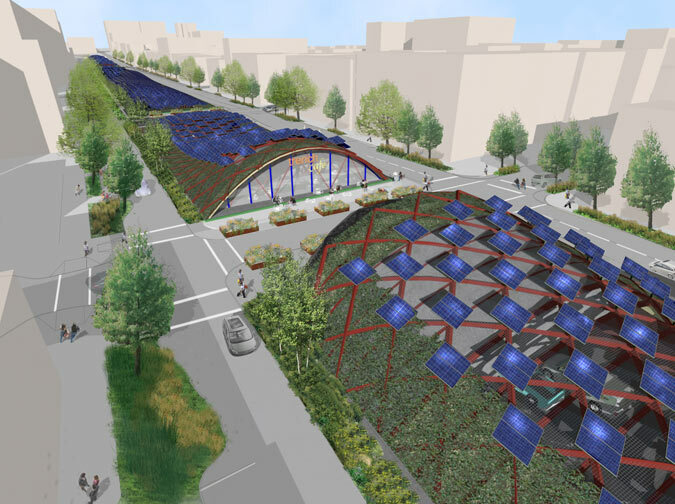 Her work includes the creation of select bus service routes in the Bronx and Manhattan, the installation of 18 pedestrian plazas, the addition of over 250 miles of on-street bike lanes, car-free summer streets, and a new Street Design Manual. 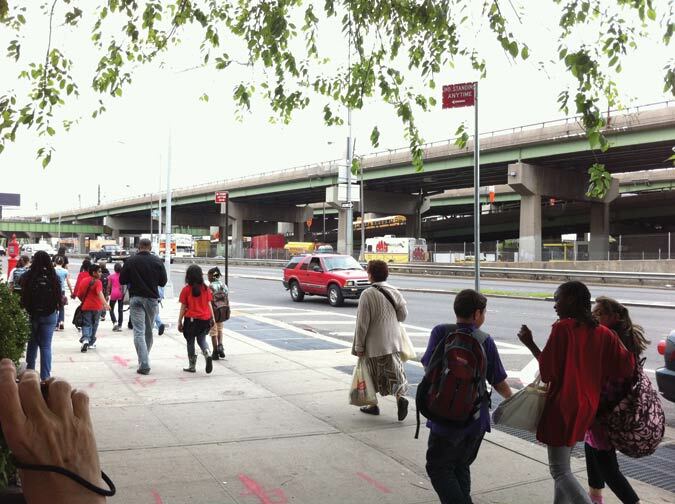 Steely White's leadership is responsible for championing public campaigns to make New York's streets safer for pedestrians and cyclists including traffic calming initiatives and the Safe Routes to School and Safe Routes for Seniors campaigns, which were later adopted by NYC DOT. 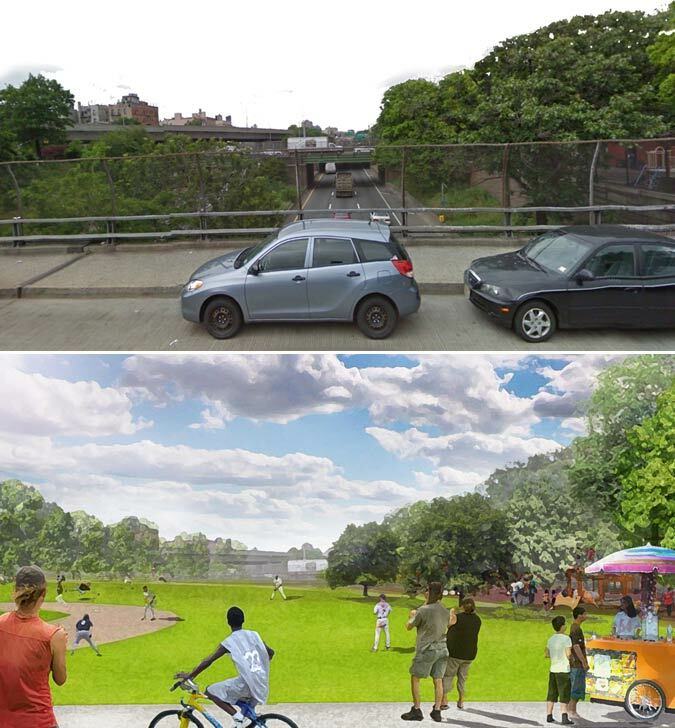 His organization also led the government call to install new pedestrian spaces and 200 miles of bike lanes between 2006 and 2009. The Lifetime Leadership awards went to Academy Award-winning actor Robert De Niro and Jane Rosenthal, co-founder and driving force behind the Tribeca Film festival. Together, the pair not only founded the Tribeca Film Center, the first commercial space in Tribeca dedicated to film, television, and entertainment companies, they also responded to the devastating consequences the 9/11 attacks on Lower Manhattan by founding the Tribeca Film Festival in 2002, whose active presence heavily contributed to the city's long-term recovery. The recipients were decided by a jury comprised of Dr. Judith Rodin, president of the Rockefeller Foundation, Richard Kahan, founder and CEO of the Urban Assembly and recipient of a 2009 Jane Jacobs Medal, Mary Schmidt Campbell, dean of New York University’s Tisch School of the Arts, and Bruce Nussbaum, professor at Parsons The New School for Design. The 2011 Jane Jacobs Medal was administered by the Municipal Art Society. With Michigan Governor Jennifer Granholm imbibing heavily of the green tech “cool” cities Kool-Aid, the state’s economy grew a meager two percent during the entire 2000s, the slowest by far in the nation. By contrast, rising fuel prices had an immediately catastrophic impact on manufacturing. Within months of the onset of peak oil prices, the era of the SUV had ended and GM and Chrysler were bankrupted. Green jobs did not come to the rescue. Unemployment reached 14 percent. Michigan’s square, folksy policy-makers didn’t have any idea how to create sustainable or creative cities. Terrible municipal governance cursed southeast Michigan cities. Congress’s failure to pass energy legislation or back a sustainable tech market left the state’s green initiatives isolated. 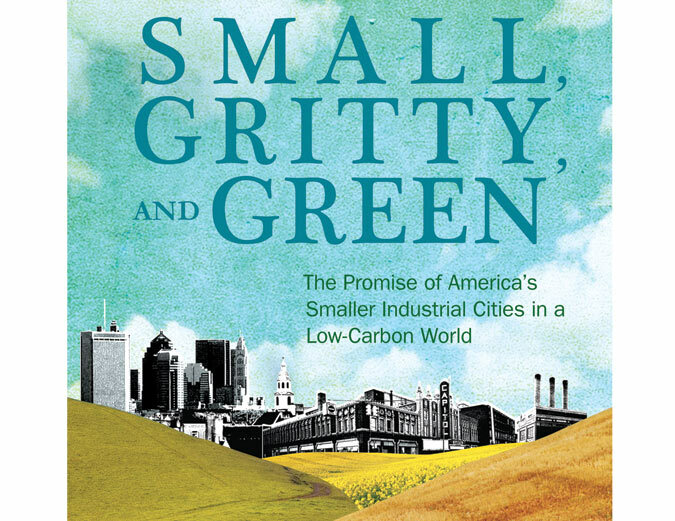 This paradigm of stalled industrial progress, experienced by small manufacturing cities throughout the Midwest and Northeast, and helped along by a federal infrastructure and housing policy morass, forms the backdrop of Catherine Tumber’s thought-provoking new book, Small, Gritty, and Green: The Promise of America’s Smaller Industrial Cities in a Low-Carbon World. A former news editor and currently a researcher at MIT’s Department of Urban Studies and Planning, Tumber animates Small, Gritty, and Green with character-driven storytelling and digestible revisionist histories of urban theory framed through the interests of small cities. Ebenezer Howard gets revived as a rootsy regionalist, Lewis Mumford a defender of local culture against large cities, Scottish biologist Patrick Geddes an inspiration for ecological urbanism before the term existed, and Jane Jacobs as too embedded in Greenwich Village to appreciate regionalism and later as an advocate of economic localism. Most of the story is free from professional architecture-and-planning jargon except for its heavy reliance on the unfortunate term “transect,” a New Urbanist concept for how to encourage rural-urban connectivity through mixed-use neighborhoods and a variety of scales and building types. This commonplace is presented as if it needed defending against the cosmopolitan elites—entertainingly portrayed at a 2009 Harvard GSD conference where the rubric of “ecological urbanism” is introduced. 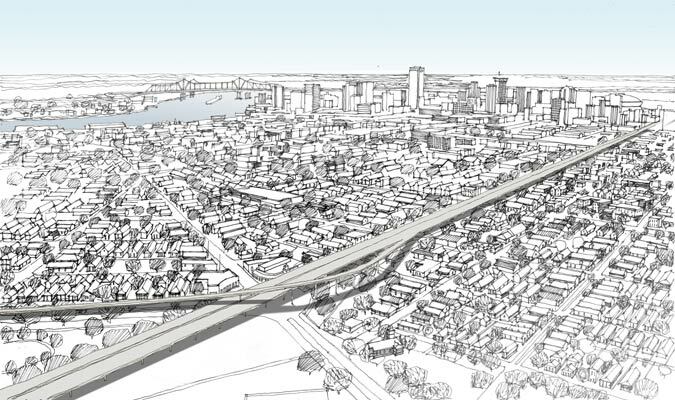 Andres Duany makes a grandstanding appearance (too much the loner to agree to be on the program alongside his would-be peers), and pretends to be a canary in the coalmine of a modernism that has already completely adopted his logic by way of Jane Jacobs. We follow Tumber as she crisscrosses the Great Lakes region, interviewing young mayors, regional planners, small farmers, windmill manufacturers, and urban gardeners, uncovering innovative sustainable practices in little-studied places like Youngstown, Ohio; Muncie, Indiana; Flint, Michigan; Janesville, Wisconsin; Rochester, New York; and Holyoke, Massachusetts. Glorification of cosmopolitan mega-regions has become the conventional wisdom within urbanist theory, Tumber argues, neglecting the interests and disregarding the integrity of small-to-midsize cities. 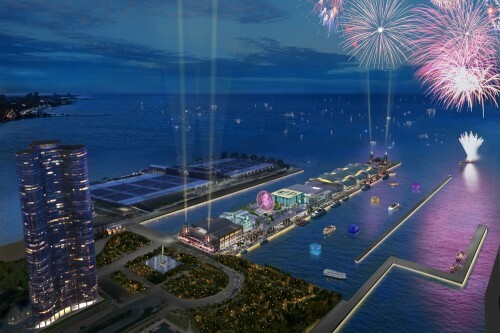 The prevailing assumption is that every place should look like Saskia Sassen’s Global City, a networked metropolis where new-economy elites converge in a romp of science, technology, finance, and leisure. Tumber frames her defense of small cities with the story of two policy factions in Janesville, Wisconsin at war over metropolitan development, both potentially disastrous. 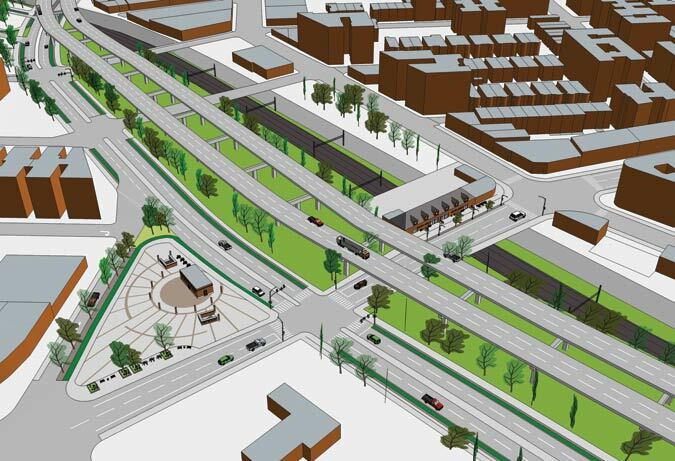 The regional planners want Janesville to expand its highways and annex townships, McMansioning their way into the parallel air-conditioned world. The farmers of LaPrairie Township object: they want to protect their high-yield crops and corporate agribusiness seed testing stations for Pioneer, Monsanto, and Syngenta. Federal policy promotes a lose-lose scenario. Compris. Tumber envisions an alternative for Janesville and cities like it: a low-carbon future. Small-to-medium-size cities have an inherent competitive advantage that enables them to restructure in a sustainable manner. Their depopulated centers are perfect for installing urban gardens and community farms. Their sparsely developed suburban belts are ideal staging grounds in an emerging market for sustainable agriculture. Their slow growth patterns are opportunities to develop green manufacturing. All they have to do is plan for the eventuality of oil running out, tear down all the highways running through downtowns, plant vacant lots with vegetables, get the government to build a trillion dollar high-speed rail system that connects to small cities, and wait thirty or forty years. The practices for a low-carbon future that Tumber documents are good in themselves, as far as they go. They are in some cases the only thing productive happening on abandoned property and should to be encouraged for promoting healthier lifestyles and environmental stewardship. Municipal transportation authorities in Rochester reduced bus fares, contracted with the school system, increased ridership, and bought new hybrid vehicles. A skilled farmer in Illinois is profiting from the Yuppie obsession with fresh food at farmer’s markets in Evanston. Muncie, Indiana succeeded in stealing several hundred jobs from Chicago by offering a new rail spur and nonunion labor to an Italian producer of windmill gearboxes, attracting an additional German turbine company. But the small cities heralded by Tumber are already intensely local economies restructuring around regional-protectionist ideas. At times it sounds like in the future everyone is supposed to be a peasant farmer growing vegetables for local consumption in places like Flint. These cities are valiantly installing riverfront trails, remediating brownfields, restoring wetlands, and land-banking disused lots. But the die-hard localism Tumber champions is not new: it’s part of a deeply conservative tradition that isn’t expanding the economy, it’s shrinking it, year after year. Ironically the suburbs in areas she describes are often more economically and ethnically diverse than the cities. Underlying Small, Gritty, and Green is a certain kind of magical thinking: somehow Congress, persuaded by the inexorable logic of a future without oil, will evolve into a happy bipartisan consensus and initiate a massive shift in federal transportation, housing, agriculture, and infrastructure spending. A shift in federal policy would make an enormous difference, but it will not happen at this stage without a massive national revolt. Until then, attracting capital investment from multinational corporations, redeveloping downtown centers to draw middle-class professionals, and connecting local economies to global markets centered in cosmopolitan mega-regions will remain essential to restructuring small cities. A neighborhood is born in Cincinnati. After a decade of debate, financing, design, and construction, phase one of The Banks—arguably one of the country’s most ambitious urban design projects—is nearly complete. 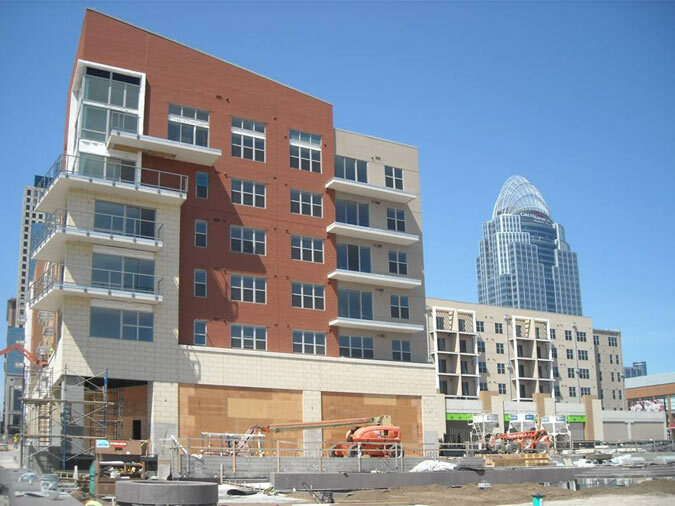 When finished, the 18-acre mixed-use development will add nearly three million square feet of building to long vacant land between Cincinnati’s Central Business District and the Ohio River. While The Banks’ site has long been vacant, this is no blank slate. 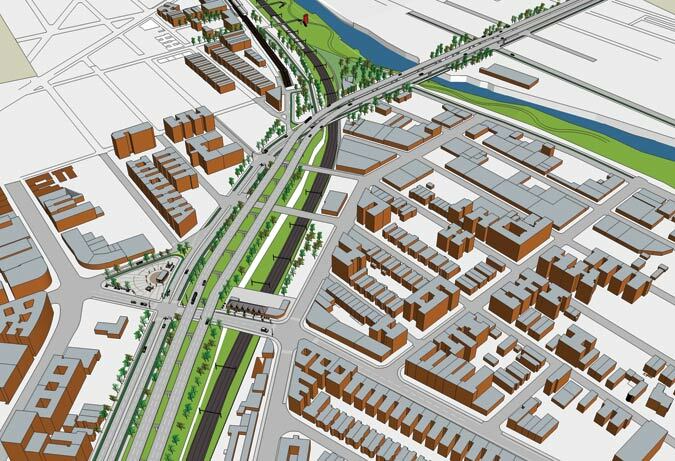 The project occupies a rectangle of land that has served as Cincinnati’s laboratory for urban design since the city’s inception. 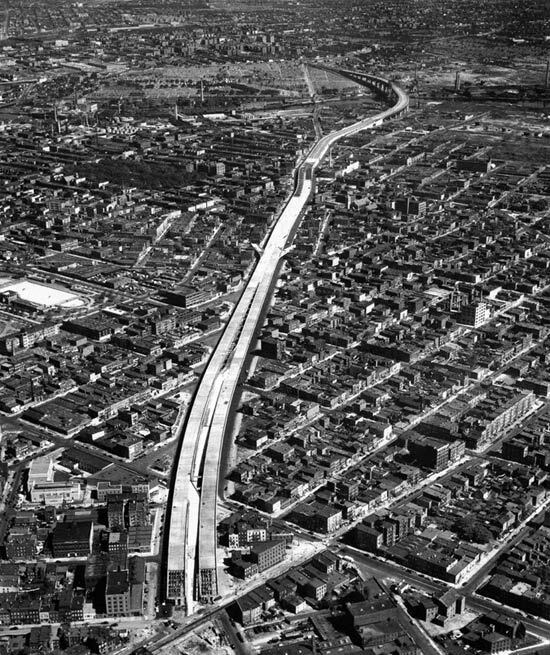 To clear the way for 1961’s I-71 / Fort Washington Way, a dense riverfront district was demolished and the resulting void filled with modernist mega-structures (including the Reds’ Riverfront Stadium of 1970) that left the city landlocked for decades. 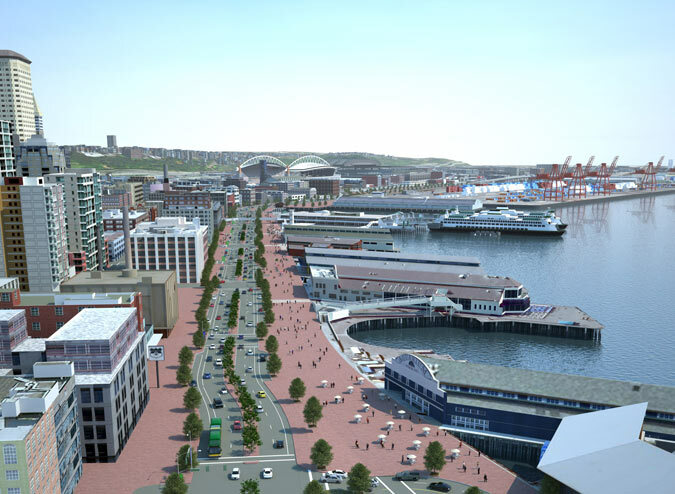 Other sites were entertained before the construction of two new stadiums in the 1990s, but in 1998 the public voted in favor of again siting the buildings on the river. 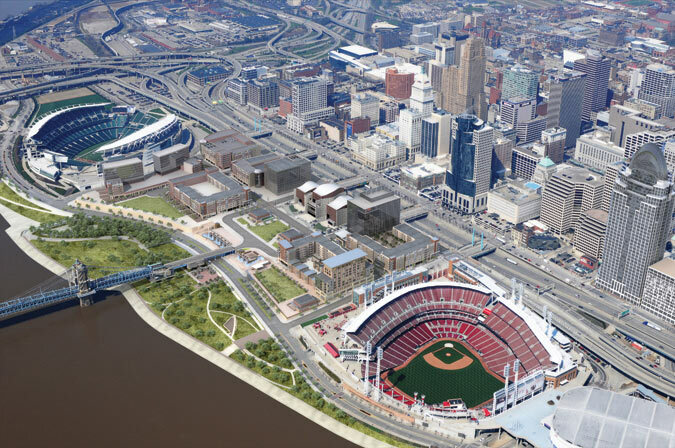 Recognizing the flaws of this strategy but also its potential, the city appointed a commission to study the construction of a finer-grained urbanism between the stadiums and adjacent to the Ohio. 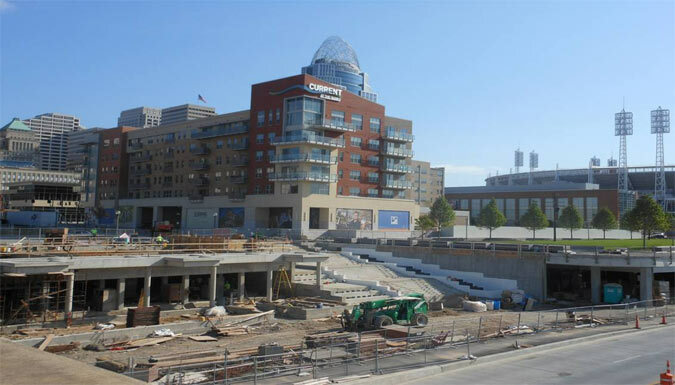 In 2007, Carter and The Dawson Company partnered with the City of Cincinnati and Hamilton County to pursue financing for The Banks. Construction of Phase One broke ground in 2008. Construction of the Walnut Street Steps (right) and the Current South building (right). The blocks of Cooper Carry’s masterplan, essentially an extension of downtown’s gridiron, average approximately 260 by 390 feet, or roughly half the size of a Midtown Manhattan block. Built out at six or seven stories, this density is roughly the scale of Haussmann’s Paris. Programming is textbook Jane Jacobs: retail at ground level, residential apartments in various configurations above, office and hotel sprinkled throughout. The architecture is fairly banal though, with nothing as formally inventive as Daniel Libeskind’s The Ascent directly across the river. 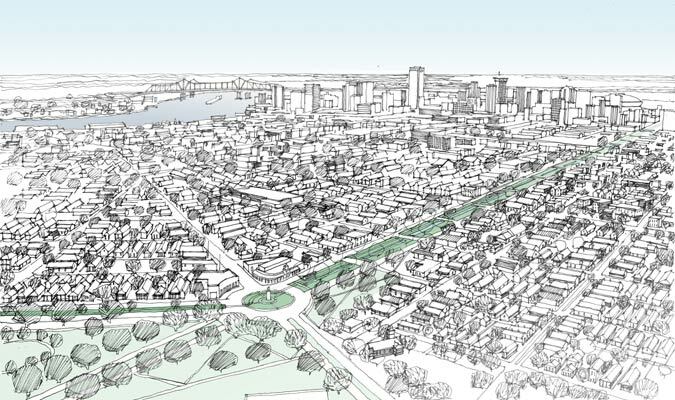 “The Banks’ scale, massing and layout seem to be just right and will eventually create a vibrant urban neighborhood along the Ohio River waterfront,” said Randy Simes, urban planner and editor of UrbanCincy.com. 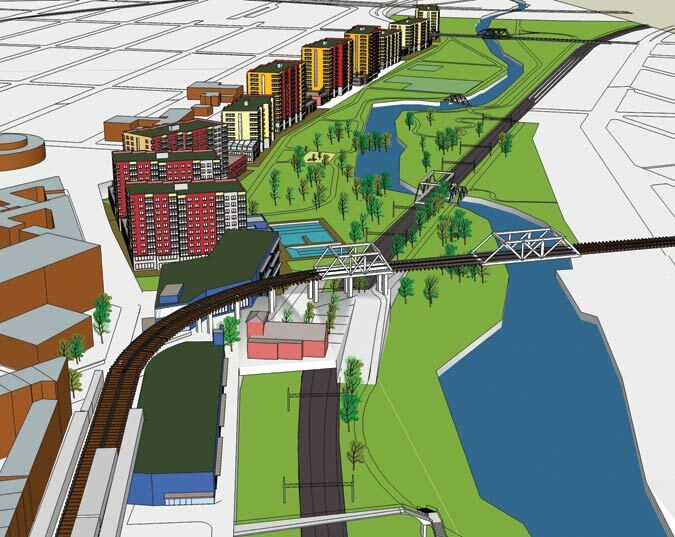 Sasaki’s adjacent Riverfront Park and a stop on Cincinnati’s forthcoming streetcar enhance the district’s appeal. For all its urban design strengths, The Banks still accommodates cars, a lot of cars. 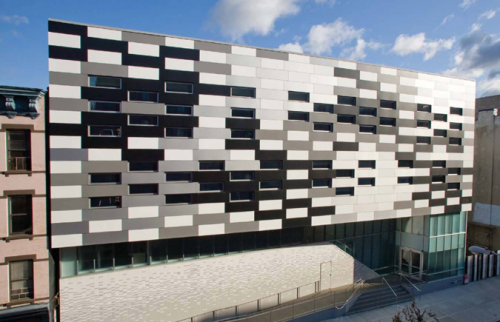 The entire first phase sits on a massive 1,800-car parking podium, and there’s also an above-ground garage. Simes explains, “While the underground parking was necessary in order to lift the massive, mixed-use development out of the Ohio River floodplain, the above-ground parking was not.” Presumably the development team is hedging its bets in a city still beholden to the automobile, yet these garages are a wasted opportunity to encourage more Cincinnatians to adopt a car-free lifestyle. They also were hugely expensive and required massive public subsidy from city, county, state, and federal sources. In a country that long ago ceded its reputation for bold city-making to Europe and Asia, the construction of a dense new urban district in a mid-sized American city is grounds for optimism. The Banks was touted as a savior for Cincinnati, and the project had unusually strong support from Mayor Mark Mallory and other elected officials to push it forward. Despite its flaws, The Banks probably will be very good for Cincinnati. 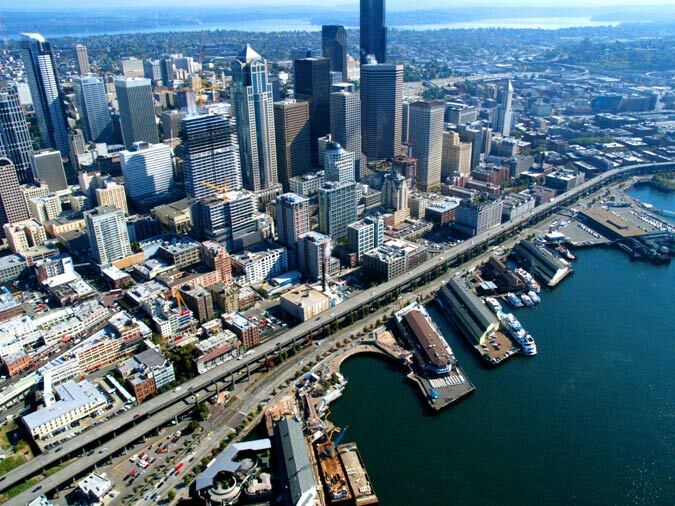 But given the amount of subsidy the project required, it is questionable whether this is a viable template for other American cities attempting to add inner-city density, especially given cash-strapped local, state, and federal governments. 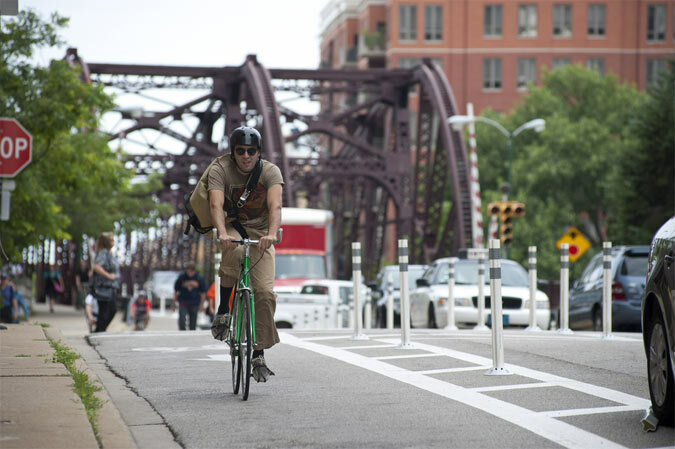 A protected bike lane in Chicago. While many of Mayor Daley's initiatives promoting citywide sustainability were visionary, transportation is one area where new thinking is still needed. Chicago traffic is among the worst in the country, and its air quality suffers as a result. Mayor Emanuel's planning policies are just beginning to take shape, though we are heartened with his selection of Gabe Klein as department of transportation commissioner. Emanuel saw Klein's work first hand in Washington, where, as the capital city’s DOT head, he added hundreds of miles of bike lanes and implemented the nation's largest bike sharing program. Klein, like his better-known peer in New York, Janette Sadik-Khan, is one of the new breed of transportation planners who are seeking to give pedestrians and cyclists a bigger share of the road. 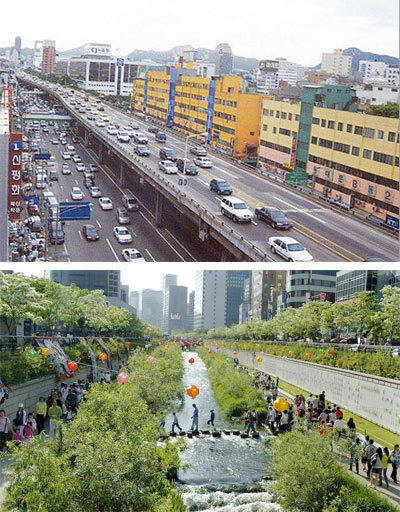 For too long we have designed our streets with primarily the car in mind, to the detriment of street life, the environment, our health, and our cities. It also makes bad economic sense. The era of cheap oil is over. Innovative commissioners like Klein and Sadik-Khan, recognizing their relative autonomy and the vast portfolios of public spaces under their control, are changing things quickly. Sometimes these changes ruffle feathers, but Washington and New York are seeing big increases in cycling and significant improvement in pedestrian safety. It has also helped make them celebrities in planning circles. Bike sharing, complete streets, sidewalk extensions, and pedestrian scramble intersections change the look and texture of streetscapes, usually for the better. 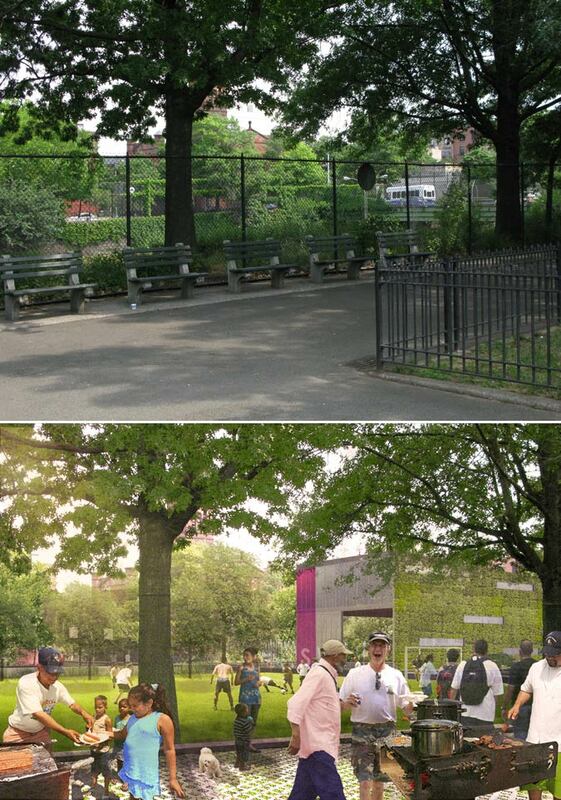 They help transform streets from pass-throughs into destinations. With its wide streets and flat topography, Chicago seems primed to be a leading bicycling city, expanding its already active and visible cycling population. 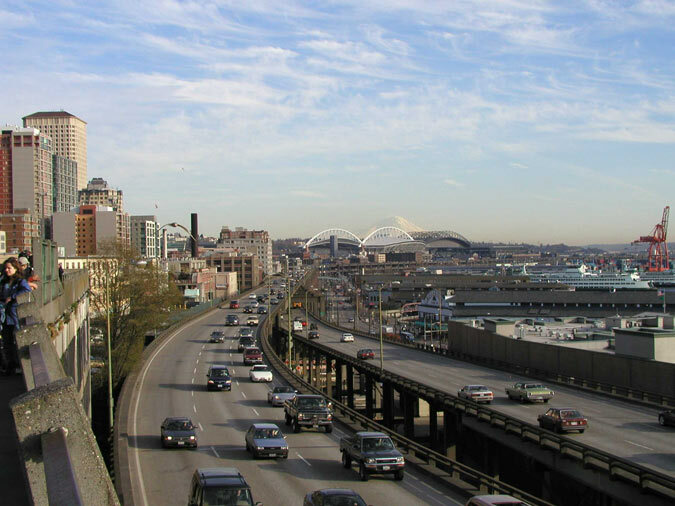 Architects, directly and indirectly, have been part of the car monoculture problem. In order to meet parking requirements most new high rises include vast parking podiums, which, even with ground floor retail, deaden street life and pull eyes off the street, to paraphrase Jane Jacobs. An overabundance of parking encourages casual, even constant, car use, and helps generate traffic and sprawl. But that could change. In a recent interview with the smart transportation blog “Grid Chicago” Klein said he wants to reduce the parking requirements for new construction: “I think we should have a maximum and no minimum.” I couldn’t agree more. Who knew the Power Broker himself was a beer man? The Robert Moses of my imagination could be spotted, martini in hand, at a swanky Manhattan lounge. But in reality, the workaholic was such a control freak that he would never permit himself to loosen up in public, instead spending much of his free time stolen away from the city sailing on the Great South Bay in his boat the Sea-Ef. (Even then, his mind was still on work: he once grounded the boat on a quite visible sand bar thinking of his plans for New York!) Ceaselessly maneuvering and tightening his grip on Gotham politics, Moses may have been the one man in New York most in need of a cold beer. Grub Street spotted a new beer, appropriately made by the Great South Bay Brewery on Long Island, that pays homage to the Robert Moses Causeway and its promise of breezy summer beaches. 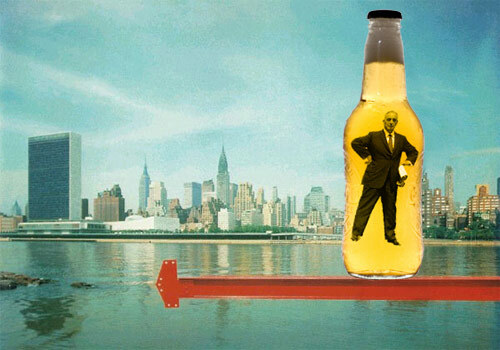 According to the brewery, the Robert Moses Pale Ale is a beer made for relaxing--hardly the image of Moses at work. Famously, his nemesis Jane Jacobs was an unabashed beer drinker, frequenting the White Horse Tavern on Hudson Street where she fraternized with her Village neighbors. Could the act of clinking a cold one (or in Moses' case, not) explain much of the difference between these icons of New York urbanism? 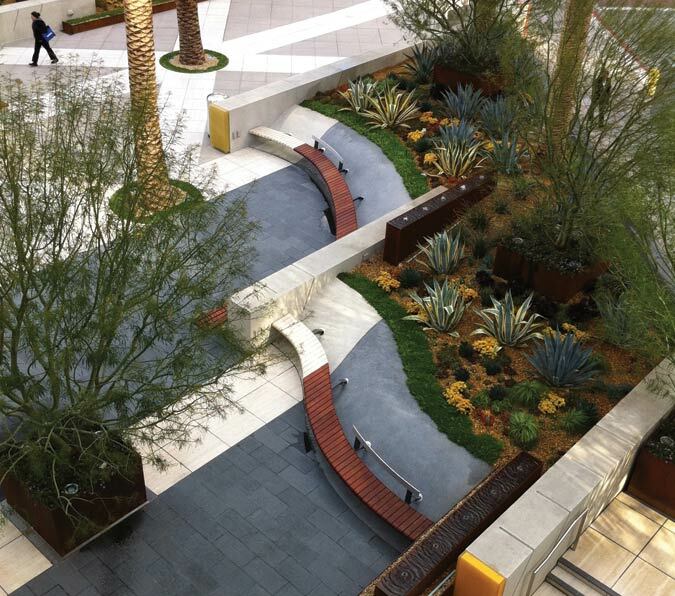 The plaza's curving benches, dark and light pavers, water features, and colorful succulents create an urban escape. When Downtown LA’s office buildings first started sprouting up in the ‘70s and ‘80s, the city had a very different attitude about civic plazas. Most of those spaces were empty, windswept concrete yards meant as tributes to corporate power or to the singularity of modernist architecture, not places of dynamic urban activity or real civic engagement. Often they purposely impeded public gathering. This was, after all, a time when riots and protests were a large fear and homelessness was starting to rear its ugly head. 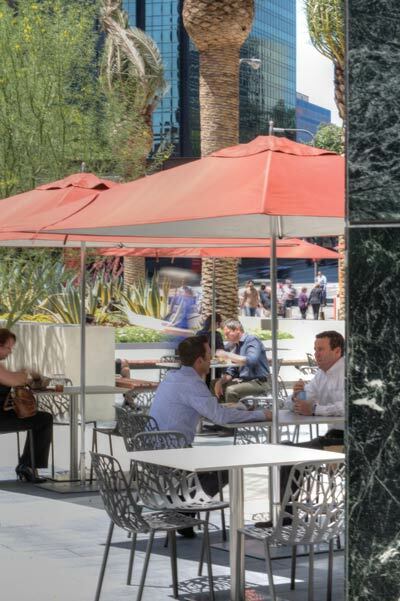 AC Martin’s recent renovation of the modernist plaza outside of the Citigroup Center at 444 South Flower Street is a good example of how that conception has radically changed in a city that now craves public space and ways to attract tenants to aging buildings. The esteemed LA firm designed the plaza the first time around, back in 1982, and also designed the tower itself. “I suppose a lot of us architects were naive enough to believe that a beautifully crafted minimal design was enough to activate a space,” said AC Martin principal David Martin, of the firm’s first try at the plaza. Their strategy this time was simple but not easy: to fill the once-barren space with an intricate network of elements that would make it as walkable, sittable, and people-friendly as possible, while still encouraging lingering and peaceful moments in the midst of the chaotic city. But whereas the firm wanted to promote a sense of tranquility in the plaza, they didn’t want it to turn its back on the city. 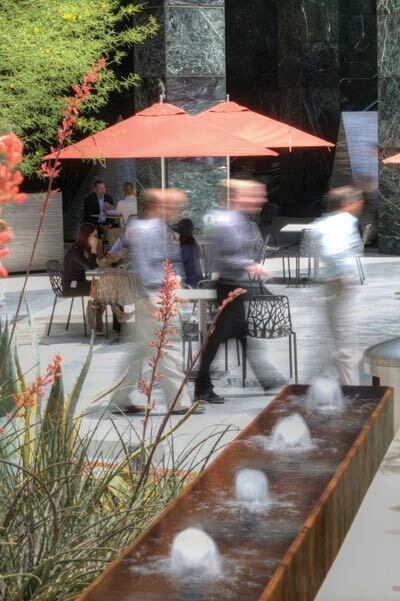 The space embraces the urban grid thanks to a diagonal pattern of stone pavers, which lead visitors to and from the main entry on Flower and 5th streets, a dynamic corner bordering John Portman’s Bonaventure Hotel, the classic Art Deco LA Public Library, and AC Martin’s own City National Plaza. Visitors enter the newly designed space, pass its sculpted basalt fringes, and slowly descend along a slight grade change. Colored glass boxes that line the entryways provide clear wayfinding. 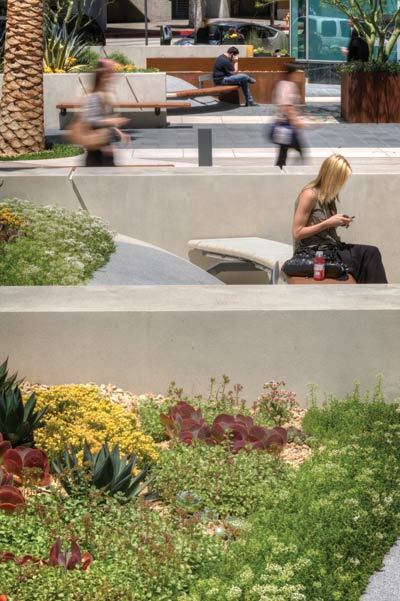 To avoid Downtown’s inescapable heat island effect and the bright reflective glare—always an issue for urban plazas— the firm alternated light and dark pavers and filled the space with mesmerizing bright green Palo Verde trees that create an intricate dappled light. They also supplemented the plaza with new palm trees and installed new landscaping—most of it drought tolerant succulents—into handsome dark brown Cor-ten steel planter boxes. The landscape of yuccas and spiny, bulbous, and colorful plants was designed by Melendrez Design Partners. The area is further cooled and calmed by simple Cor-ten steel water features with their great gurgling noises and by a series of what seem to be countless orange umbrellas. While old school civic plazas left nowhere to sit, seating is everywhere here, with 40 tables and 160 movable chairs (not even chained to the ground!) and gently curving benches that alternate from wood to travertine to match the striped pavers below. The terraced storefronts in front of the building, which include the ultra-popular Mendocito Farms sandwich shop, were reimagined to include new steel blade signage with a smooth matte finish that not only unifies the facades but also gives the shops a sophistication they sorely missed before. Heavenly highways. 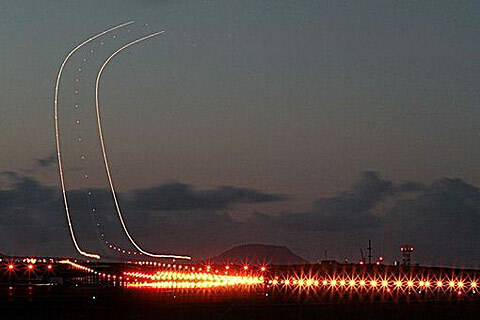 No, this isn't a preview of the Rapture (whose marketing graphics leave much to be desired)--it's a series of time lapse photographs of the quotidian take-offs and landings of airplanes, courtesy of Lost At E Minor. Out of Gas. 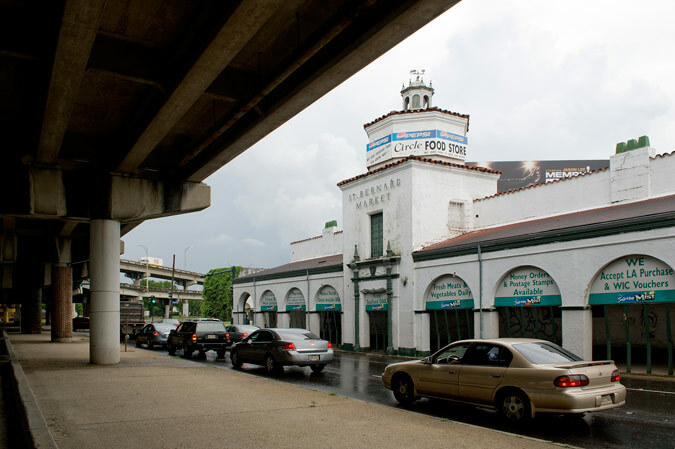 Sunday Zipcar drivers take note: when the current lease runs out, the Gaseteria-turned-BP at the corner of Lafayette and Houston Streets in Manhattan will become the site of a new "super-secret five- to seven-story commercial loft development with luxury retail" reports The Observer. Pro "Roberta Moses." 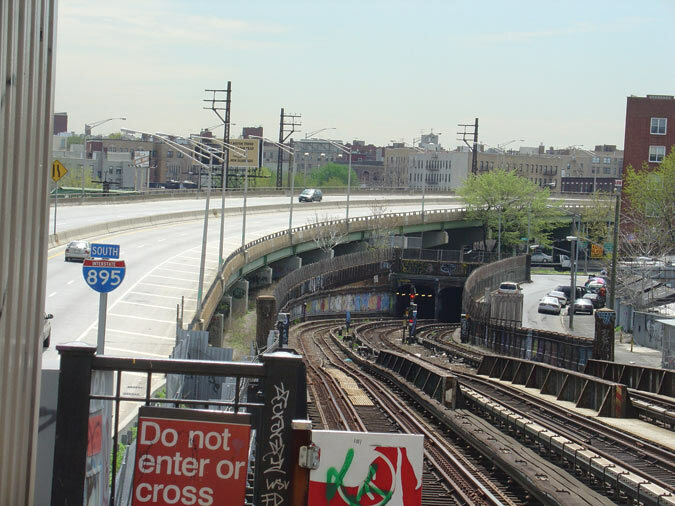 In her article "Anatomy of a Take Down," Karrie Jacobs of Metropolis deftly deconstructs the critical pile-on around DOT Commissioner Janet Sadik-Khan and her transformation of New York City's streets. If Jacobs were mayor, she says, she'd throw Sadik-Khan a ticker-tape parade. Two-wheeled Commute. Happy National Bike to Work Day! Dissuaded by inclement weather in the northeast? For inspiration, check out Street Films' video--after the jump--of Lucette Gilbert, in her "very late 70s," who has been getting around New York by bike since the transit strike of 1980. 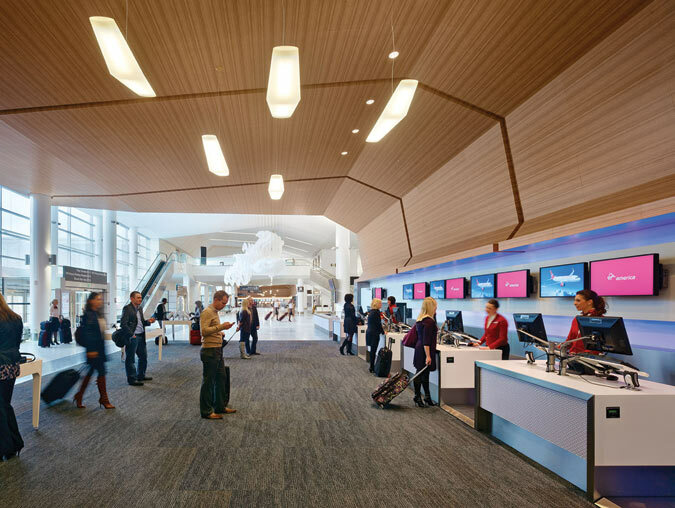 Renovated with a preponderance of white surfaces and natural lighting, SFO’s Terminal 2 strives—appropriately, given the current state of travel—for a spa-like atmosphere. The ticketing counters are paneled in faux zebrawood, and the post-TSA lounge area—aptly named “Recompose”—offers cushioned seating under a gossamer cloud of purplish threads (a ceiling sculpture by Janet Echelman). The food purveyors are primarily local: Napa Farms Market occupies a handsome space with tiled walls and an open oven, designed by Baldauf Catton von Eckartsberg Architects. In the main gate area, two tiers of clerestory windows and angled rooflines create a visual sense of uplift, while Arne Jacobsen Egg and Swan chairs lend a design edge to seating clusters. Slated for LEED Gold certification, the $383 million renovation incorporates energy-saving measures like a displacement ventilation system that brings in outside air for natural cooling, and prominently placed water fountains that are designed for refilling water bottles at the gate. London Calling. 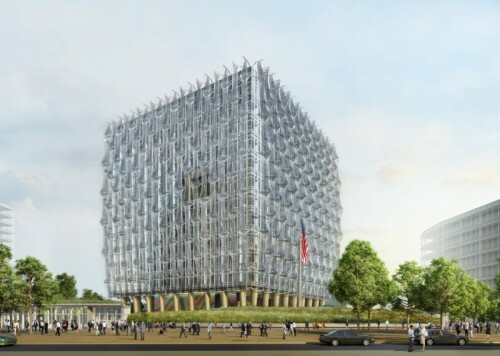 The State Department is pushing for design excellence standards and is using its new embassy in London as a prototype. The embassy, designed by Philly-based KieranTimberlake, is still in its early phases, but as the project evolves, so will the standards for future buildings commissioned by the Bureau of Overseas Buildings, reports Engineering News-Record. While haute design remains part of the goal, sustainability and efficiency will take the fore. (Via Arch Record.) New York Answering. The call from London that many answered Friday morning came from Westminster Abbey. Of the more auspicious outcomes, the so-called "Little Britain" section in the Village got it's nickname sanctified by The Times. 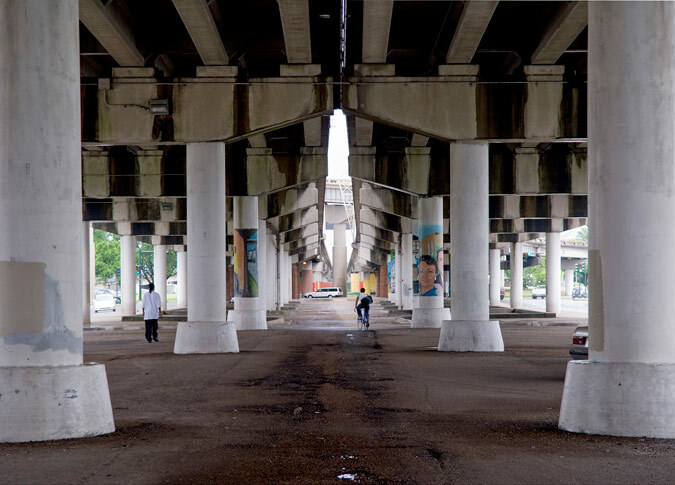 Off the beaten path, under a bridge really, Brownstoner reports that an early morning crowd beneath the Manhattan Bridge gathered for a live video feed. U2 in Malibu. Well not the whole group, just The Edge. He got approval from the Santa Monica Mountain Conservancy to build five eco-friendly homes in the Hollywood Hills. The dirty little tid-bit revealed in the LA Times is that the conservancy group accepted about $1 million in payments and services provided by a consultant hired by Mr. Edge. (via Curbed LA) Jane and Andy. Two names you might never consider putting together are Jane Jacons and Andy Warhol. But an essay by Timothy Mennel pairs to the "two libertarians" together in this week's Design Observer. Besides both coming from Pennsylvania steel towns, Mennel shows how their respective notions of community shaped the city as we know it today: eyes on your street vs. eyes on your navel.